As a partner and civil litigation attorney in the firm, Ryan concentrates his practice on medical malpractice defense where he represents hospitals, clinics, nursing homes, physicians, nurses and other health care providers. 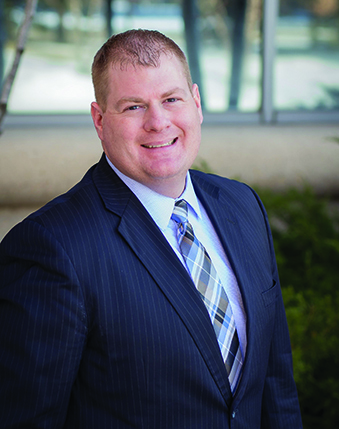 In addition to the experience Ryan has gained while at Gislason & Hunter, he was a risk manager for a major Minnesota hospital and a litigation attorney for another Minnesota law firm where he gained valuable experience defending contractors in construction defect actions and insurance providers in insurance coverage, bad faith and general insurance actions. Ryan has long had a passion for law and a strong work ethic. Those attributes guide his approach to both his legal practice and his life. Ryan became an attorney so that he could bring together his interests and his ideals to not only represent his clients, but to advocate for them. Ryan began his legal career as an Assistant Attorney General in the Public Protection Division of the Minnesota Attorney General’s Office. That experience caused Ryan to understand that oftentimes litigation can be very daunting to those brought into it. Ryan relies on his passion, dedication and values to assist his clients through that process and to achieve the best results for them.